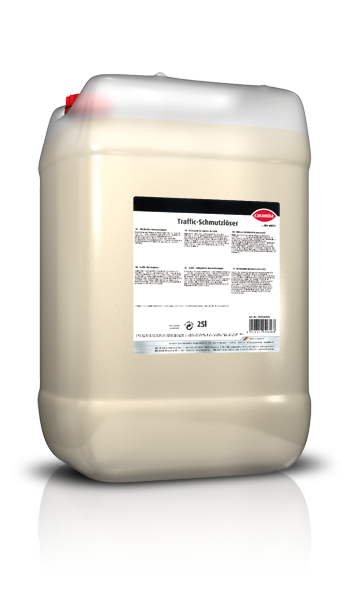 Strongly alkaline intensive cleaner for commercial vehicles, cars, machinery etc. via pre-spray and high-pressure units. 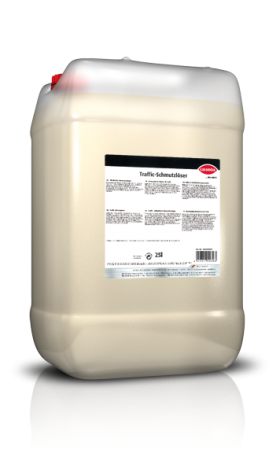 As a spray cleaner for commercial vehicles, pre-dilute 1:5 to 1:20 with water depending on the extent of soiling, spray this solution on the surfaces and – after a short reaction time – rinse it off with plenty of water or drive through the wash tunnel. As a pre-cleaner for car wash, pre-dilute 1:30 to 1:60 with water, spray the solution on the car, allow it to react for a short time and immediately rinse it off using a high-pressure water jet or drive the car through the wash tunnel. Avoid any hardening on vehicle paints by all means. For use as a high-pressure cleaner, adjust the metering so that the product concentration in the spray jet is between 0.2% and 2%.